The white, red and and black colours of the Triple Goddess owe a lot to Robert Graves' seminal work The White Goddess. He derived it from the tendency of the Irish myths to declare those "otherworldly" colours in combination, such as the red-eared white cow that was Brigid's only food as an infant, the red, white and black oystercatcher that is called "Brigid's bird" or the red-eared white dogs that occur in so many stories as Otherworld animals. I can't tell you the number of quizzes I've taken over the years trying to get an outside opinion about what's going on inside my head, but the ones I've found most interesting are those that ask questions of the senses -- other than sight -- to find your "inner" colour. No matter where you go, however, the underlying theme with all of these quizzes suggests colour in personality, or personality in colour. By age five, almost all of us have a favorite colour. Associating ourselves with that colour, surrounding ourselves with it, and forsaking all others (at some point) is common place. But what if your favorite colour doesn't meet your inspirational needs? What if your energetic orange room doesn't let you relax? What if your deep blue room doesn't energize you? What if you need a different set of eyes to see what's missing? Looking to expand on the colors you already know any love? 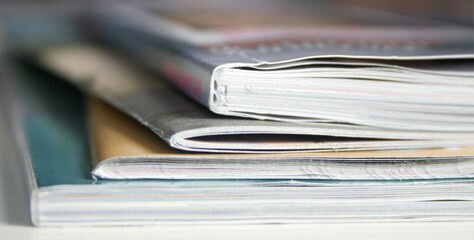 Here are some places you can go to find out just what to do. Paint is the cheapest and most dynamic way to change a room. While accuracy is always called into question, what interests me most about this room colour test is its approach. 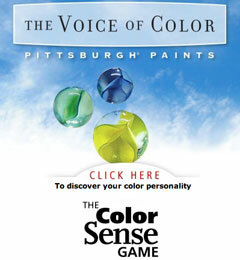 Found here on our very own forum, Pittsburgh Paints brings their answer to the typical, over-simplifying colour-personality quiz by asking about what tastes, smells, textures, and principles you hold in the highest. With Pittsburgh Paints, it's all about you and your radically subjective world. October's stones are both characterized by flexibility or change. The traditional and modern stone for October is the seemingly fickle Opal, and the alternative is the long, slender Tourmaline. Both the Opal and Tourmaline come in a variety of colors, Opal spanning the spectrum. The word opal comes from the Latin opalus, by Greek òpalliòs, and is from the same root as Sanskrit upálá[s] for "stone." Opal ranges from clear through white, gray, red, yellow, green, shore, blue, magenta, brown, and black. Of these hues, red and black are the most rare, whereas white and green are the most common. Opal is the national stone of Australia, with some of the most precious existing there. 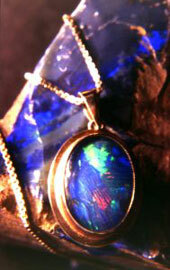 Opals are iridescent, giving way to an even broader surface colour range. The varieties of Opal are common (milk opal, milky bluish to greenish (which can sometimes be of gemstone quality), honey-yellow with a resinous lustre, brown, grey, or a colorless glass-clear opal sometimes called Muller's Glass), precious (characterized by tight speherical structure), Fire Opal (or Girasol, is a translucent to semi-opaque stone that is generally yellow to bright orange and sometimes nearly red and displays pleochroism at certain angles), Peruvian Opal (also called blue opal) is a semi-opaque to opaque blue-green stone found in Peru which is often cut to include the matrix in the more opaque stones. Peruvian Opal does not display pleochroism (an optical phenomenon in which stones appear to be different colors when observed at different angles). 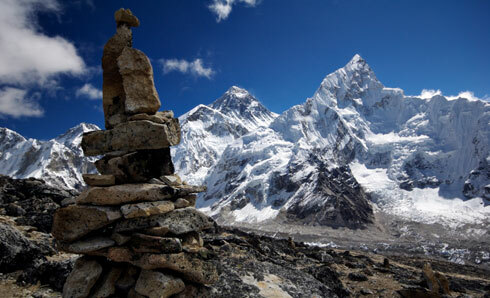 The Himalayas are a mountain range in Asia, separating the Indian subcontinent from the Tibetan Plateau. The greater span of the range includes the Himalaya proper, the Karakoram, the Hindu Kush, and a host of minor ranges, which spells a transition from lush forests to ice and snow. The mountain range is home to the world's tallest peaks with over one-hundred exceeding 7,200 metres (including Mt. 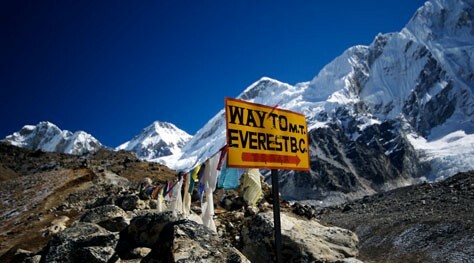 Everest). Of colour, the rich browns of the mountains, their snow-capped tops that resemble white clouds, lush greens of the lowland forests, stretches of blue sky, and the teals found in the rushing, life-giving rivers are just waiting to be discovered. Although it's not the same as being there -- to see these wonderful earth tones -- let's take a journey through pictures to the largest mountain range on planet Earth. The Himalayas stretch across the six nations of Bhutan, China, India, Nepal, Pakistan and Afghanistan. Their peaks and valleys hold the sources of three of major river systems in the world, being the Indus basin, the Ganga-Brahmaputra basin and the Yangtze basin. This teal-green supply of silt-rich water allows for so much to grow around it, as it passes its wealth down the spider-web rivers to even more fertile lands, allowing for the greens of plant-life to flourish. 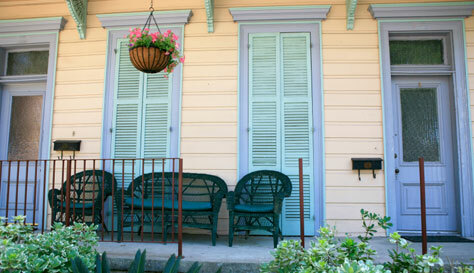 Two years after the ruin of Hurricane Katrina, homes are coming back around. Even with reconstruction and lots of volunteer aid, something seemed missing among the new walls. The residents have seen nothing but the grey of collapsed homes and the brown of the flood waters and mud. For a city recognized for its abundance of life, the dreariness seemed unshakable. That is -- until they brought in colour. While some consider the 21st of September to be the first official day of fall, the 23rd is the day of the Autumnal Equinox, which either way means Autumn is upon us. Autumn is a time when the sun's angle changes, things become cooler, and all of those beautiful leaves earn a fiery glow before falling. The spectacle is so popular that people plan entire vacations around the possibility of seeing the fall foliage. Where I live, the leaves are just beginning their change. Here, the most change comes in October, but we've had some early starters. Changing to red, orange, yellow, yellow-green, and even purple is all part of a process that allows the deciduous trees to survive even a harsh winter. What makes leaves green is chlorophyll. During the growing season (chiefly summer), leaves are so dominated by the green of chlorophyll that all other pigments within the leaf are masked. When the cold sets in, and the sun withdraws, the trees begin a withdrawal process of their own. The sugars that are produced by chlorophyll are drawn back into the tree as this will be its sustenance, and the chlorophyll itself is reduced in number. A layer of cork forms between the branch and the leaf, which eventually will allow the leaf to fall. During the change from chlorophyll-abundance and chlorophyll-absence, colour change will occur. Called "pictures of the floating world," or Ukiyo-e, the main artistic genre of Japanese Woodblock printing first reached popularity during the second half of the 17th Century, and lasted into the 20th Century. Although initially challenged by limited colour, woodblock printing soon become a defining method of producing art. Capturing landscapes, theatre, and even more intimate scenes, Ukiyo-e captured hearts and tastes as well, as they could be inexpensively mass-produced. Traditional Japanese art usually relied on high contrast and a flattening of the dimensions in the piece. 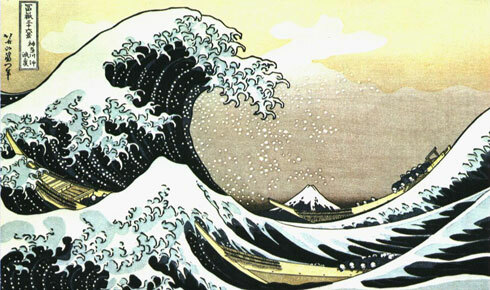 Perhaps most famously in this genre -- and still produced today -- is that of Katsushika Hokusai's work The Great Wave Off Kanagawa(above), part off his series One-hundred Views of Mt. Fuji, wherein Mt. Fuji is but a hill in the shadow of the tsunami. The wave seemed to reach out for the people desperately clinging to boats with claws, as if the size and arc weren't enough to suggest its ferocity. This piece, though one of the more popular ones, is marked as the one that is the least Japanese in technique of his works. In the process of making food or drink, especially mass-produced by machine, the accuracy of the end product's can be a bit skewed. 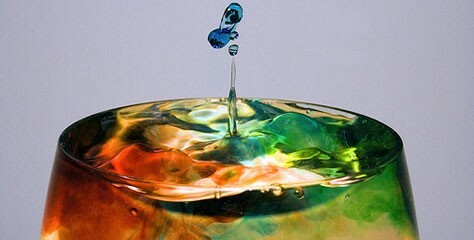 Because certain colors are associated with certain flavors, and vice versa, food coloring was introduced in acknowledgment to its correlation to perceived flavors. 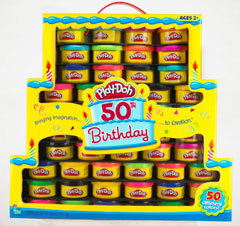 Coloring has also been added to mask color loss, aid food identification, and for decoration, as in cake icing. Food Coloring even existed in the times of early Rome, when saffron, carrots, pomegranates, grapes, mulberries, spinach, beets, parsley, and flowers were employed as dyeing agents.